I hope your new year is off to a wonderful start. Things are already busy here in Olympia in the second week of the 2016 legislative session. With only 60 days in this “short” session, the Legislature must focus its work on the real priorities of state government like investing in education and reducing burdensome regulations. I will continue to work with my colleagues on both sides of the political aisle to deliver results for the citizens of our state. The Legislature adjourned in 2015, after numerous overtime sessions, with a new budget that made history. Investments in our K-12 system are at all-time highs, with nearly 50 percent of state spending going to basic education. Our Senate majority led the way with the first college-tuition reduction in state history, giving needed relief to working families and students across the state. I look forward to building on these kinds of results in this legislative session. I continue to serve as the chair of the Senate Agriculture, Water and Rural Economic Development Committee. This year we have already begun looking at ways to comprehensively address our state’s water quality and access needs. Last year’s drought had significant impacts on our state’s farmers, families and small businesses. Although experts are not predicting a drought this year, we must work together to find ways to mitigate future drought problems. In addition, the Legislature must invest in communities affected by last year’s fire season so that they can rebuild and recover. Although our district was not directly impacted by wildfires, firefighters from our community and around the state lent a helping hand to our neighbors in need. Addressing wildfires means more than focusing on recovery. Our state must also push for better forest management to prevent the buildup of fuels on the forest floor. 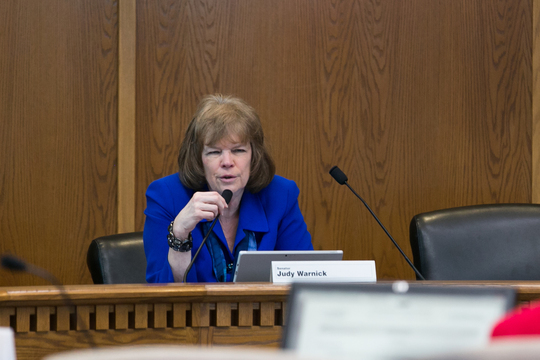 Our Senate majority is working to reverse the effects of 30 years of budget decisions that put education at a lower priority than non-education programs. Since the formation of the Senate Majority Coalition in 2013, per-student funding has increased by over 33 percent and overall spending on K-12 education is at levels not seen in decades. That is strong progress. Along with these significant changes, the Legislature must also act to protect school choice. Late last summer the state Supreme Court ruled that the way public charter schools are funded is unconstitutional. Our Senate education committee has already approved legislation that responds to the justices’ ruling and would preserve school choice for over 1,000 students in our state whose needs aren’t being met in traditional public schools. 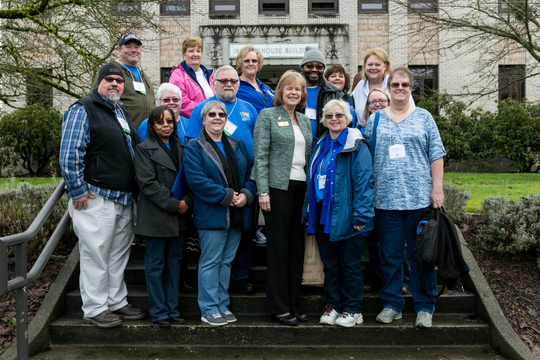 I recently met with public school employees here in Olympia and I want to thank them for their hard work for our students and for taking the time to speak with me about their experiences.These kinds of meetings are invaluable as we work to improve education for children in our state. It is an honor to serve as your state Senator. Please don’t hesitate to contact me with questions regarding state government.